This is a slice-of-life indie film (set in the mid-sized city of Gloucester, MA) centering on several executives working for GTX, a fictional manufacturing company that has had some heavy lay-offs. It was written/directed by John Wells (ER, Mildred Pierce, The West Wing, etc. ); Maria Bello (also from ER) has a role in the film as a shrewd businesswoman. 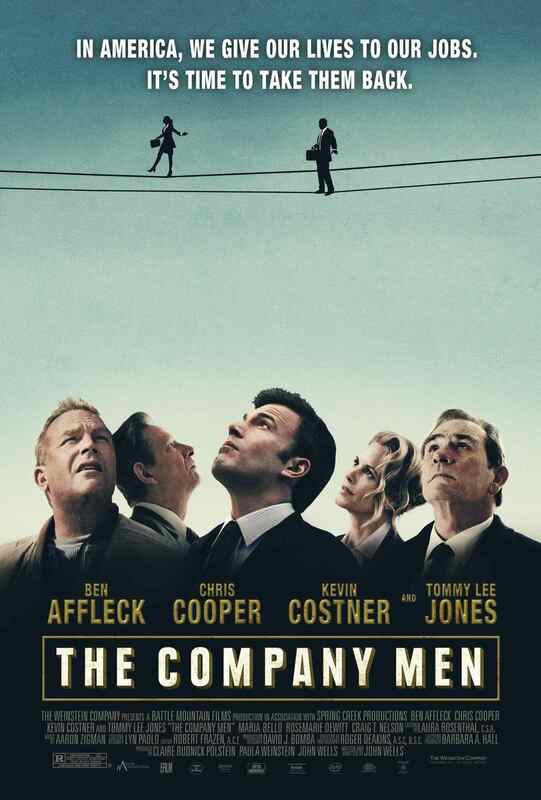 Though it focuses on white, upper-middle class men, I could relate to it on several levels. Old friends James Salinger (Craig T. Nelson) and Glen McClary (Tommy Lee Jones) have built GTX from the ground-up, but Salinger, the president, wants to trim costs in order to raise profits. McClary feels like he’s going about it the wrong way; he also feels guilty for benefitting from the rise in company stock. Sally Wilcox (Bello) handles the lay-offs, which come as a shock to Robert Walker (Ben Affleck), a top sales exec (w/ MBA) who’s worked for the company for 13 years (all of his career). Bobby drives a Porshe, lives in a beautiful house (beside a golf course), and has a lovely family. However, he’s reluctant to share the bad news with his family (including parents), or rely on them for support. Bobby thinks that he can get a job right away, but turns out to be wrong (you’ve been there). 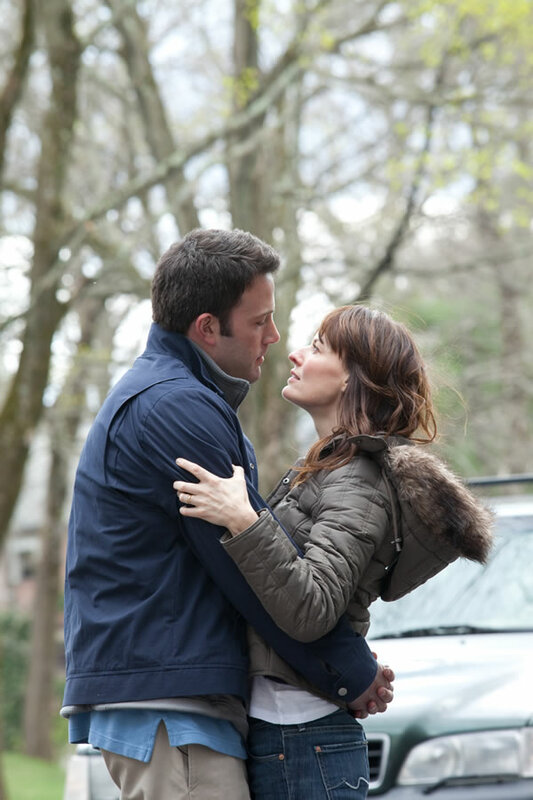 Bobby’s understanding wife, Maggie (Rosemarie DeWitt), goes back to work as a nurse. She urges him to cut back on costs, but he exclaims: “I need to look successful!” When you don’t have a job, you feel anxious, depressed, irritable, and- perhaps this is more so for males- useless. 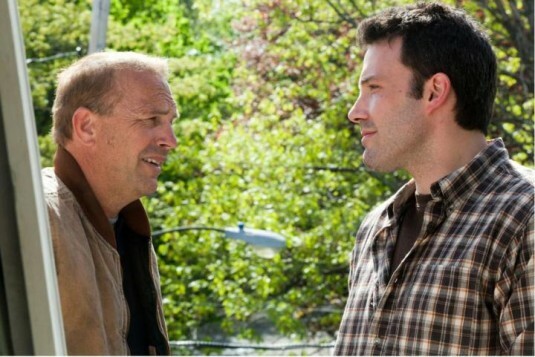 When his brother-in-law Jack Dolan (Kevin Costner, in a low-key but pivotal role) offers Bobby a job with his small carpentary business, Bobby quickly rebuffs him. That’s not the type of work he sees himself doing (been there, too). After a few months of disappointment, Maggie reminds him that they can’t pay the mortgage. Bobby has to swallow his pride and make some uncomfortable decisions. What drew me to this film is it’s ensemble cast. 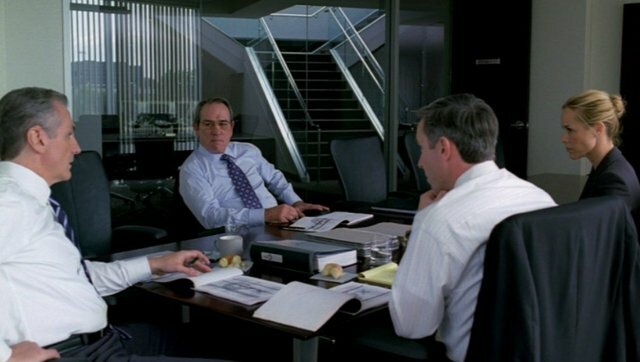 I thought Cooper, DeWitt, and Jones performed their roles especially well. Affleck and DeWitt have good chemistry in their scenes. Most of the situations are very relateable. Bobby is still a lucky guy, even without the trappings of success.